There has been an ISS-Above at the offices of The Planetary Society since 2014. A few months ago they moved to new offices - and their ISS-Above has now been upgraded with the latest version. It holds pride of place in one of the conference / work rooms which is visible to everyone as soon as you walk through their front door. Brandon is The Planetary Society's IT expert and he took great care to setup the ISS-Above - installing it perfectly so it is visible right above the huge TV. The CEO of The Planetary Society, Bill Nye The Science Guy has been a long-term supporter of the ISS-Above. Bill purchased one back in 2014 and even mentioned it in an interview he gave to The Wall Street Journal. We returned the favor (as much as we could) by creating a custom version of the ISS-Above that will track their LightSail when it launches (possibly later this year). The LightSail-Above was a great success with their recent Kickstarter and helped add $21,500 to the project total. If you are a Planetary Society member and you own an ISS-Above your device will also be able to track the LightSail! 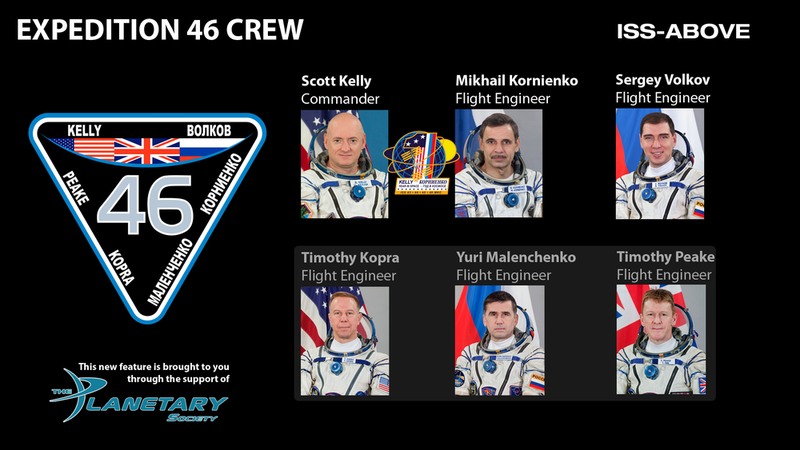 Approximately 6 hours later (12:24pm ET) the spacecraft will dock with the ISS. 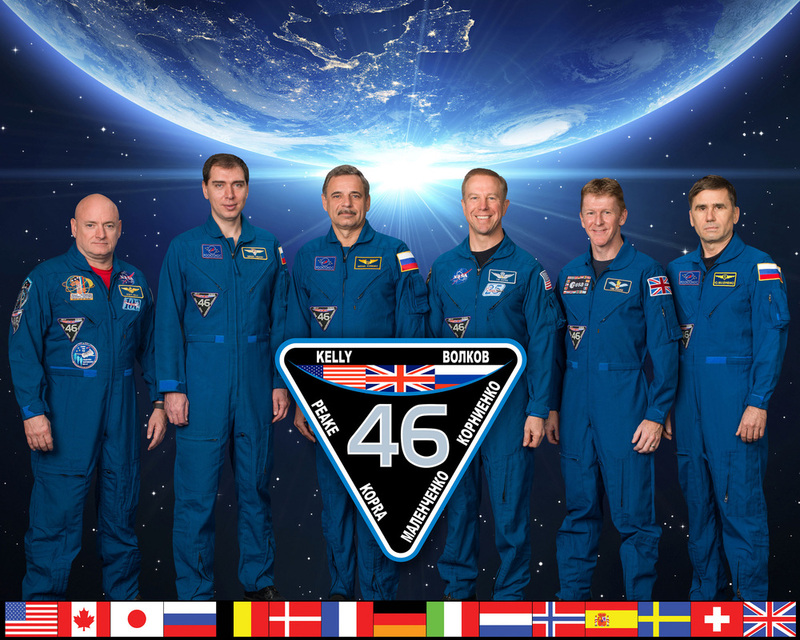 Every crew gets to spend some time together before they re-unite on the ISS. That's when NASA gets to take the official Expedition photo. The International Space Station makes a bright visible pass over Paris at 6:37am local time and it is visible to all who would look up. It's a reminder to all who see it that we are one small world. Almost 92 minutes later it makes yet another close pass JUST as sunrise breaks over Paris. May the new day bring hope and possibilities for a world united in peace. Our thoughts and prayers are with all those who have been impacted by this terrible act of violence. NOTE THE NEW DATE for Beer and Space at Wavelength Brewery in Vista, CA. Liam will be presenting the ISS-ABOVE for the second time November 27th, 8pm. Early morning and it's assembly time for the units that were rewards on The Planetary Sociey's recent Kickstarter for the LightSail. On 10/19/15 at 7:14pm EST, The White House will host its annual astronomy event, just as the international space station flies overhead. How do we know that it will be at this exact point in time? Want to download the ISS-ABOVE code? For geeks only! If you already have a Raspberry Pi, LED displace device and spare SD card, then you can download the code (priced at $30) on our download page. You will be redirected to another site for purchase.